A jungle lodge, Baghira Log Huts in Kisli located in the fringe of Kanha National Park, is a lively group of cottages with an attached bar and restaurant. Perfect for weekend getaways this cottage is a hot tourist attraction, drawing many a tourist visiting the Kanha National Park. 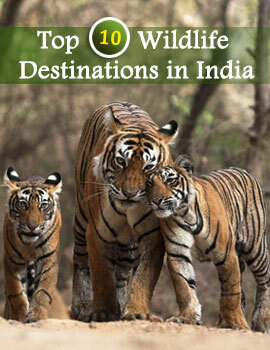 Kipling's own city, Kanha is a renowned place, with numerous places of interest. Tucked aside the National Park, the Baghira Log Huts in Kisli offers a serene ambience and modern up-to-date facilities to the visitors. Perhaps bearing connection to the grand heritage of its past, the Baghira Log Huts, Kisli is located at a communicable distance from all the major attractions of Kanha, including the picture-perfect National Park. The cottage style living takes you back to ages past when ancient sages used to contemplate in some bushy corner of the forest and enlighten themselves. Enjoy the Vedic environment in the enchanting Baghira Log Huts, Kisli and you shall love the scintillating landscape inhabited by the innocent natural beings. Cozy rooms, comfortable accommodation amidst a serene ambiance identifies Baghira Log Huts, Kisli. There are attached baths, with hot and cold water service, to make you feel more comfortable and fresh. Rooms are well furnished with recreational facilities. Enjoy your idle time inside the rooms of Baghira Log Huts, Kisli. Indulge in some light snacks or some delightful dishes be it Indian, Continental or Chinese. Local dishes are also available; the rich aroma of these dishes attracts a traveler, after a day long tour. For the liquor lover, there is a splendid opportunity to sip into their favorite cocktails in the attached bar. Coffee and Tea are available for 24 hours from the coffee bar placed inside the cottages. The Travel desk at Baghira Log Huts, Kisli offers you the opportunity to travel around the Jungle in a Jeep Safari. Inside the Kanha National Park watch the exquisite range of birds and animals, amidst the Bamboo, Sal and Palm thickets. The cascading rivers, green valleys and mesmerizing landscape offers a tranquil relief from non-stop carbon pollution of city life. It is a great experience for any one.